The Samuel Goldwyn estate in Beverly Hills could soon be a historic landmark thanks to the efforts of its owner, pop star Taylor Swift. It’s a move that might not help boost the value of the property, however. Swift reportedly purchased the two-acre estate from the heirs of the famed film producer in 2015 for $25 million after it listed earlier that year for $32 million. The home was acquired by Leo Realty Ventures, which shares the same Nashville, Tenn., address as her official fan club, Taylor Nation. As the home undergoes renovations to restore the property to its original 1934 glory, the Beverly Hills Heritage Commission approved the musician’s application for historic landmark status in mid-January, which will require final approval from the City Council. A vote is scheduled for April. But assessing the value of such status for the 11,000-square-foot home depends on whom you ask. Historic landmark homes carry a certain cachet that might make them more valuable to some buyers who treat homes as collectibles. “That’s why there are vintage cars that have a big price tag. They’re more expensive than a new Ferrari. Same thing with homes,” said agent Stacy Gottula of Beverly Hills’ the Agency, who listed the Goldwyn mansion along with Joyce Rey of Coldwell Banker. That could have been what Swift was after with her Beverly Hills estate, which was home to two generations of Goldwyns and a served as a gathering place for many of the movie mogul’s celebrity friends. But historic landmark status can decrease the value of a property to developers, due to restrictions on the renovations that can be performed. The U.S. Department of the Interior sets standards for historic preservation, stating that alterations of features, spaces, and spatial relationships that characterize a property must be avoided. The Beverly Hills heritage commission, as with other local boards across the country, largely follows those guidelines. “A developer wants to be able to tear something down, bring out the wrecking ball, and build something from scratch,” said agent Ruth Shari of Coldwell Banker, who also serves on the Santa Monica Landmarks Commission. 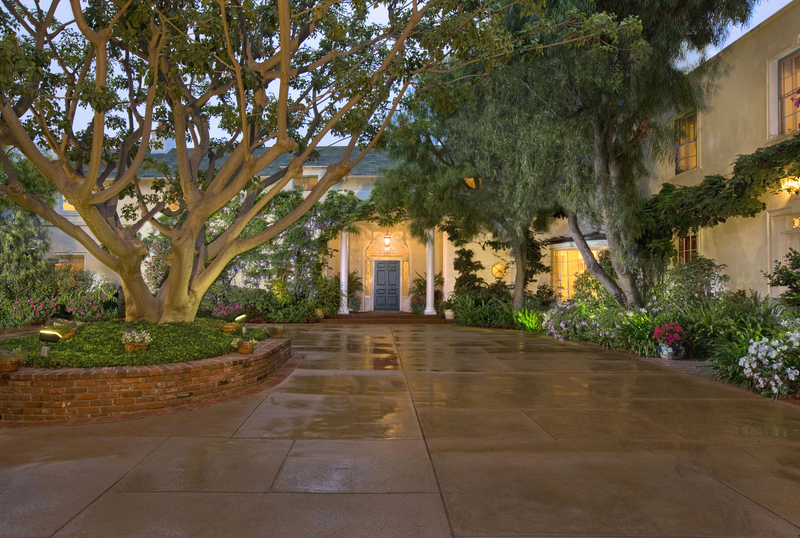 Consider the opposition of Bob Hope’s family to the historic designation of a Toluca Lake estate. After the Los Angeles City Council nominated the Moorpark Street home as a cultural monument in September, Bob and Dolores Hope’s daughter, Linda Hope, told the Los Angeles Cultural Heritage Commission that her father would have been opposed to the designation. “I know he would be disappointed if we couldn’t sell this site for maximum value in order to further fund our foundation,” she told the commission in November. Hope went on to say the property had been on sale for years, and the City Council’s nomination had a negative impact on the process. The L.A. commission voted against the designation and a vote will go before the City Council on Feb. 21. The council would have to vote unanimously in support of the nomination in order for the estate to be designated as a historic monument. Most applications for historic cultural monuments are submitted by property owners themselves, said Kenneth Bernstein, manager of the city of L.A.’s Office of Historic Resources. There are also financial incentives in place for owners of historic landmark properties. One such benefit is a 20 percent to 80 percent reduction in property levies for 10 years through the Mills Act, while tax credits are also available to help fund renovations. Owners might also benefit from a charitable contribution write-off for preserving the façade of a historic home by “donating” it to a preservation organization. Those benefits make historic landmark projects more financially viable, said architectural conservator and designer Xorin Balbes, who flips historic landmark homes such as the Frank Lloyd Wright Jr.-designed Sowden House and Talmadge Villa, both in Los Feliz. The villa was the former home of 1920s silent-film star Norma Talmadge. Balbes, the L.A.-based co-owner of Temple Home, said he takes advantage of write-offs when buying historic homes, and then secures landmark status if it’s not already in place. He then renovates and sells the properties.